We should all be this lucky during a six-hour flight lay-over. 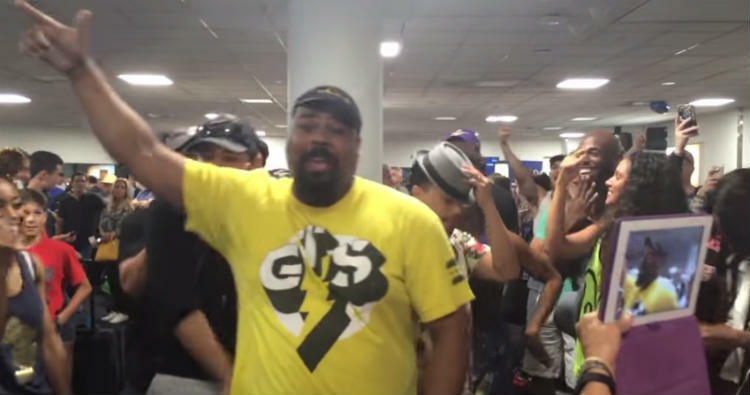 On Sunday, in an amazing cosmic turn of events, both the cast of the Lion King and of Aladdin got stranded at LaGuardia Airport in New York City. Rather than breaking out their tablets or heading off to buy a paperback, they decided to break out into a Disney-fueled sing-off. Share this if you want to hit a high note with your friends and followers….